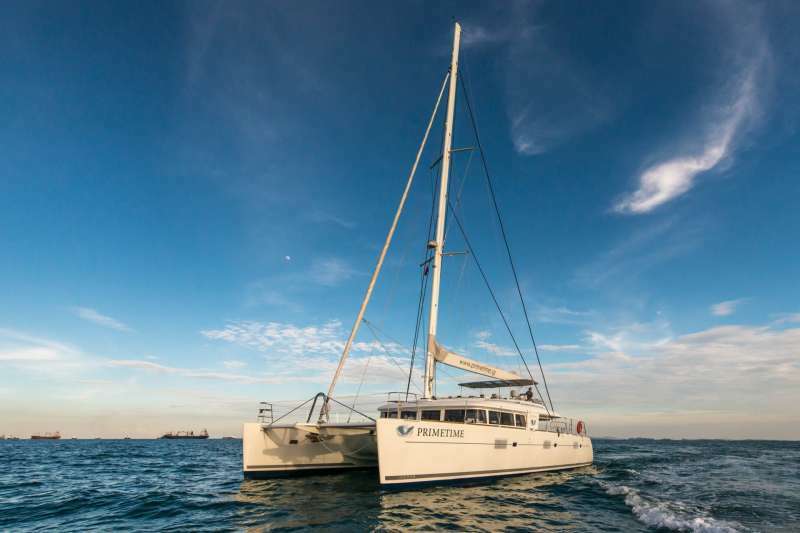 The uniqueness of Primetime is the fully equipped with the scuba dive equipment.Lagoon 620 offers the excellent diving services to let you have a remarkable experience in diving.Diving off this beautiful Catamaran is awesome. 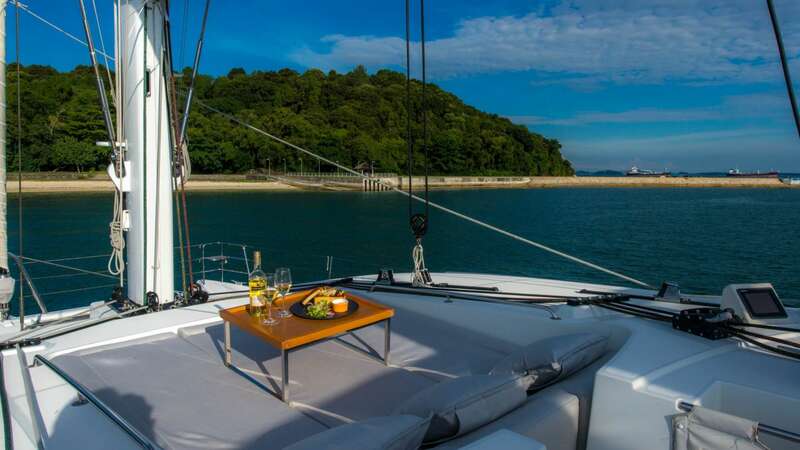 Be lowered into the water via our hydraulic dive platform or just dive into the sea from our starboard transom. 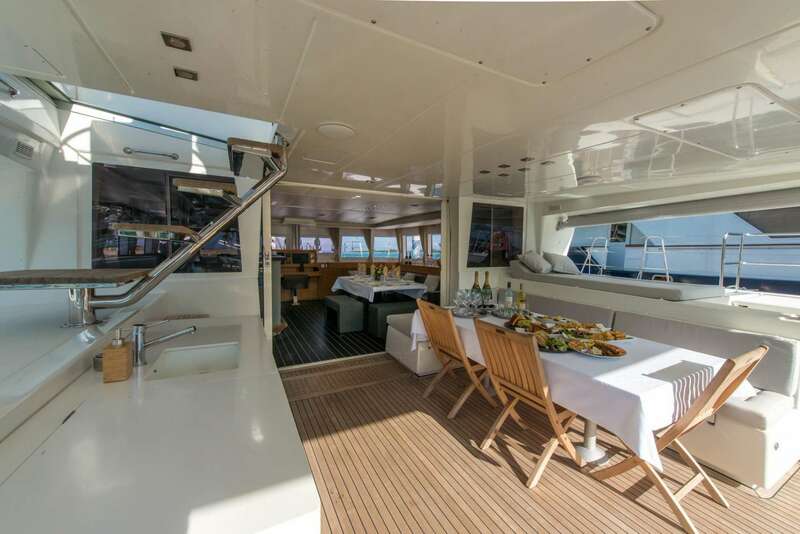 The hydraulic platform picks you right out of thewater when you are ready to come back onboard. 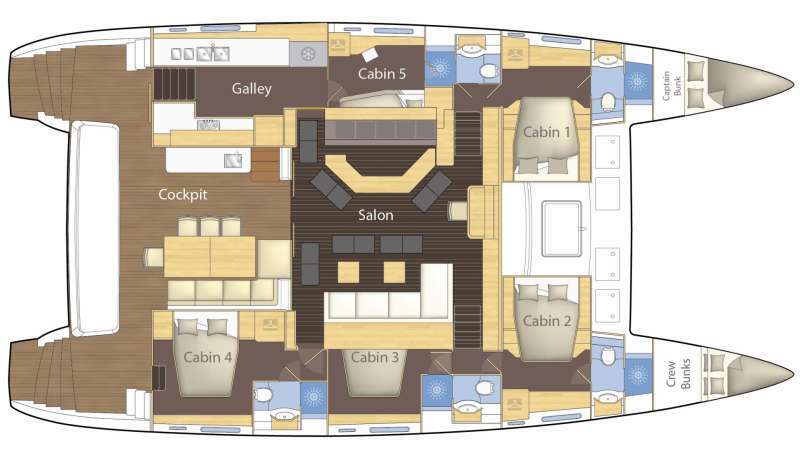 The stem of Primetime with a dive deck in marine teak is customized, ideal for 10 divers.One of the best things about live-on-board diving lies only with the ease of accessing the best dive sites, it is the simplicity of having your “hotel” and “fine dining restaurant” at your service at all times.Primetime crews will offer for the luxury oriented connoisseur – Sailor, Diver and Explorer.Lagoon 620 is a glorious 62 catamaran designed to sleep up to 8 passengers in the utmost comfort. 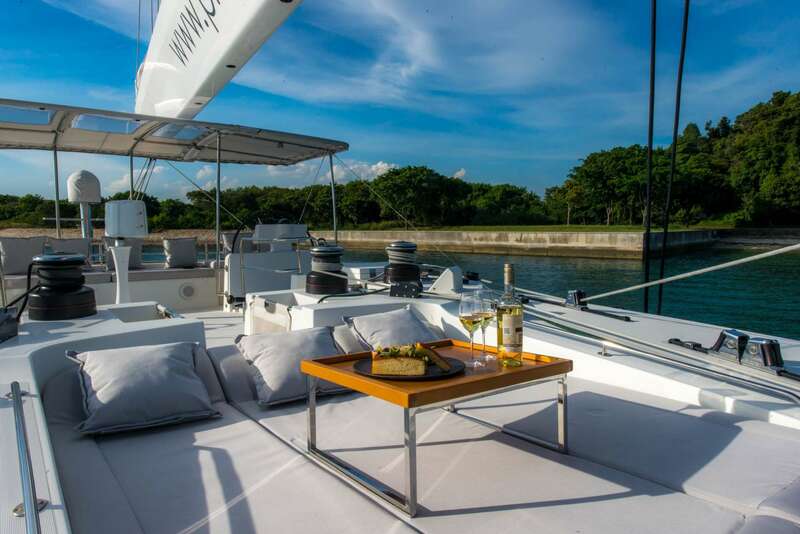 Specially designed for charter, its shallow draft allows you to reach the most beautiful moorings. 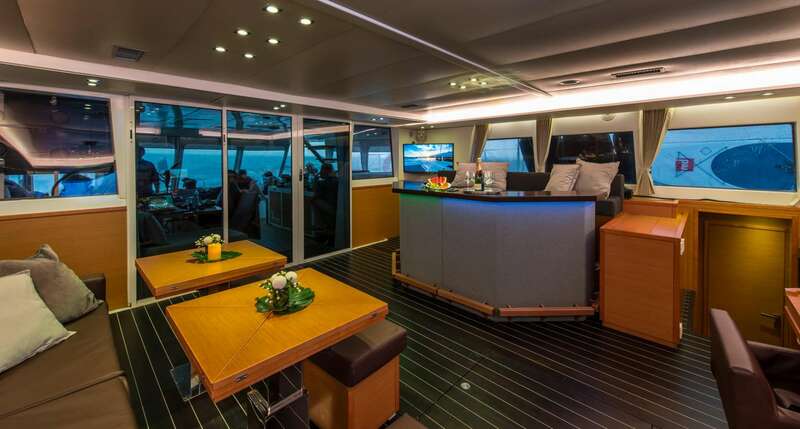 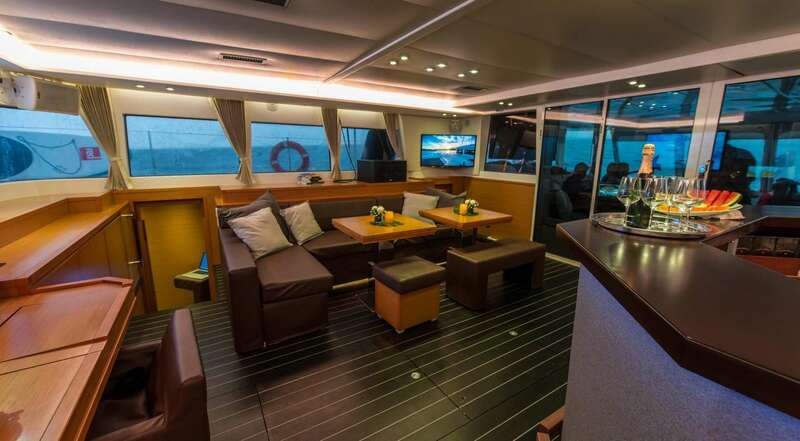 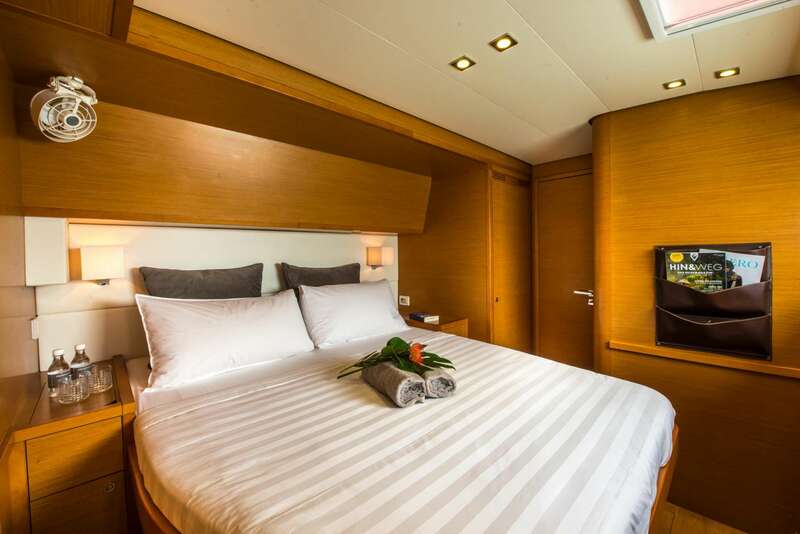 One of the main highlights of this catamaran is thespacious cockpit, its illuminated salon and luxuriouscabins. 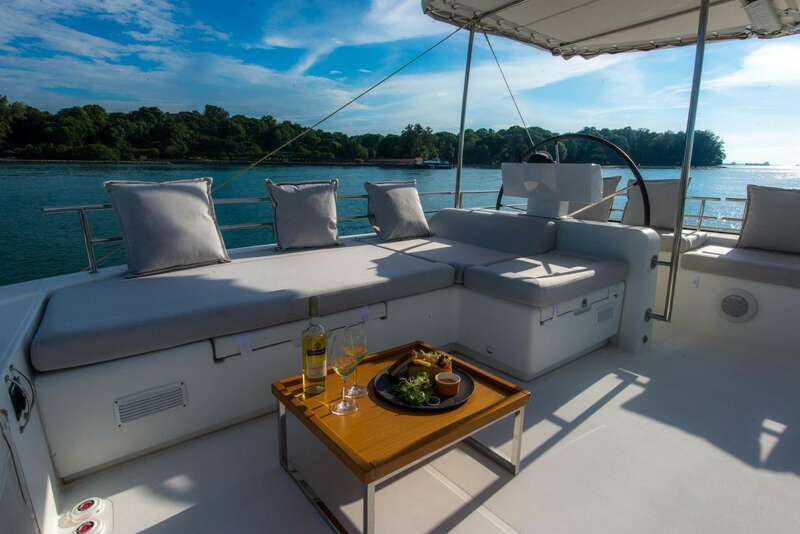 The flybridge is welcoming and versatile, perfect for entertaining guests. 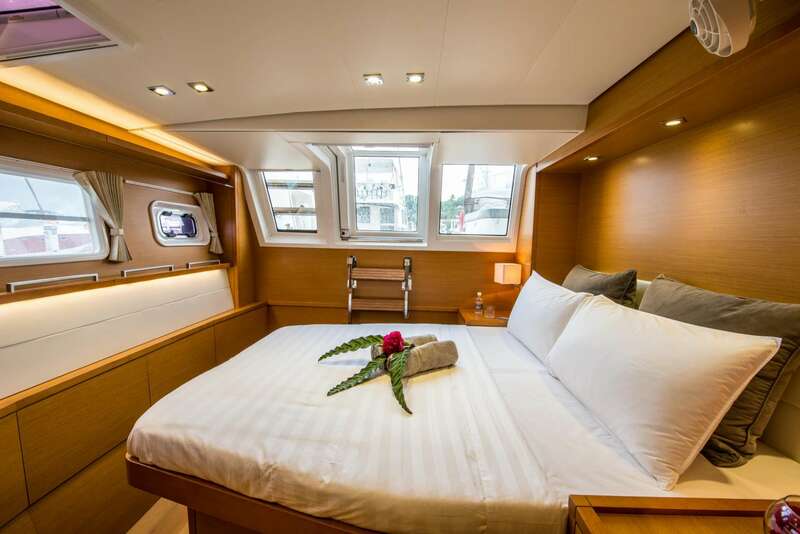 It boasts a wonderful sunbathing area on the trampolines and on the deck.Primetime is a large user-friendly yacht charter vessel and the ideal choice for a sailing and diving vacation.